In a society trapped in a leaderless quagmire, where somebody probably stands for something yet nobody stands for anything, a new flame has flickered to life. Thousands of young people rose up, stood together and challenged the establishment – from their campuses, the streets, Parliament and the lawns of the majestic Union Buildings, they made their voices heard. They brought down a symbol of exploitation and privilege, exposed the prevailing racism on their campuses and fought against fee increases in higher education. When all else is being sucked into a bottomless pit, the youth of the nation raised their fists and reminded us what true leadership is. By RANJENI MUNUSAMY. South Africa did not have a good story to tell in 2015. It was a year of upheavals, violence, court battles and economic hardship. President Jacob Zuma, enabled by the ANC, trampled on any smidgen of accountability and respect for the nation, and then laughed at us. We watched in horror as South Africans killed and assaulted people from other countries living among us. Then a jackboot police and military operation rolled out, stomping on our human rights culture and hounding out foreign nationals from the country. The people of Marikana waited and waited and waited – for justice, for closure. They still have neither. Nkandla continued to contaminate the national discourse with more nonsense about the firepool and cattle kraal, and Zuma remained dogged that he would not pay back the money. A despot came to visit and the South African government showed the High Court of South Africa and the International Criminal Court its middle finger to facilitate his return to his country. Another National Police Commissioner bit the dust, and now faces disciplinary procedures before her inevitable dishonourable exit from the police. To remove any element of doubt that his is a presidency of calamity and destruction, Zuma fired a respected Minister of Finance, Nhlanhla Nene, plunging the country into economic peril. It is the single most dangerous act by a South African leader in the democratic era. Then, in a spectacular late-night about-turn, Zuma returned Pravin Gordhan to the Finance Ministry to undo the damage. Through all this, South Africans could only sit and watch helplessly. As the country spirals, an increasingly disenchanted citizenry channels its frustrations through armchair activism, social media rants and hashtag revolutions. One phenomenon bucked the trend: student activism. First through the #RhodesMustFall campaign, then #OpenStellenbosch and culminating in #FeesMustFall, students revived the spirit of civil action and activism that drove the mass action and defiance campaigns against the apartheid regime. Most of the students involved in the campaigns have no memory of apartheid or the liberation struggle – they discovered a fighting spirit within and made South Africa pay attention. The campaign to bring down the statute of Cecil John Rhodes at the University of Cape Town helped South Africa part ways with the era of reconciliation, which preserved the vestiges of colonialism and apartheid to keep up a false sense of nationhood. The #RhodesMustFall movement and spill-over protests at other campuses and memorials demanded that the façade of a “rainbow nation” needed to make way for real transformation in all spheres of society. 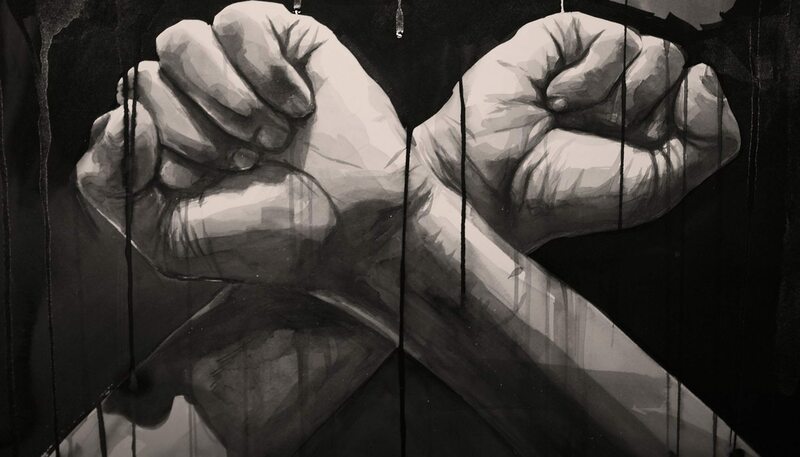 Open Stellenbosch and the “Luister” documentary exposed evil of racism lurking in the heart of one of country’s most prominent education institutions. It is a contagion students are no longer willing to put up with. It was #FeesMustFall however that really jerked South Africa out of its slumber. Student leaders from across political affiliations took up an issue that has never been high on the national agenda, even though access and affordability of education is crucial to the social and economic health of society. The protests were led by students alone, who doggedly refused that their campaign be hijacked by political parties. As the protests against fee increases in 2016 grew in momentum, university management and council were forced out of their ivory towers and had to come to the ground – literally. Government did not have the same response. They stalled, fidgeted, came up with a shoddy compromise percentage and eventually unleashed riot police on the students. Shocking scenes played out outside Parliament where young people were pepper-sprayed, assaulted and arrested. The students took their demands to Albert Luthuli House, the home of the ruling party, and eventually to the seat of government, the Union Buildings. After a day of violence and turmoil, stoked by unruly elements within the student movement, the president blinked. Fee increases for 2016 were scrapped and government undertook to find funds to make up the shortfall. Violence, destruction of property and disruption of examinations continued on some campuses, but did not take away from the victory of the student community, which they achieved through solidarity and unrelenting commitment to their cause. #FeesMustFall incited a newfound radicalism in the youth, a flame that must be kept burning so that complacency and laziness does not add to the steady erosion of our democracy. In a maelstrom of anger, discontent and flashes of disorganised rebellion, South Africa is country haunted by its past, held hostage by its present and uncertain of its future. We need people of good conscience, with commitment to freeing our society from the shackles of the past and with a new vision for our future to step forward. Main photo: Illustration of #FeesMustFall by FAITH47. At a time when state capture and an onslaught on our democracy are realities, South Africa needs constitutional safeguards and the rule of law to prevail. It is what stands between us and criminality, a complete descent into madness, the rule of the mob and the triumph of the power barons. The Supreme Court of Appeal (SCA) might be one of the most intimidating institutions any person can encounter, but it works. It continues to uphold the law of the land and is one of the few bodies left that can help us tell right from wrong. In a case pertaining to the invincible SABC chief operating officer Hlaudi Motsoeneng, the SCA reaffirmed the powers of the Public Protector, asserting that her remedial action could not be ignored. The SCA told the Minister of Basic Education in no uncertain terms that she had a responsibility to provide textbooks to the children of Limpopo in a case that should never have gone near a courtroom. And the SCA finally kicked out Oscar Pistorius’s contradictory and absurd version of how he killed Reeva Steenkamp. Pistorius has now rightly been convicted of murder. This was a case that cast South Africa into the international spotlight and the ruling has restored faith in the criminal justice system and set important legal precedents for dolus eventualis and violence against women. In 2016, more crucial cases will come before the courts, including the Constitutional Court case on the Public Protector’s recommendations on the Nkandla security upgrades.